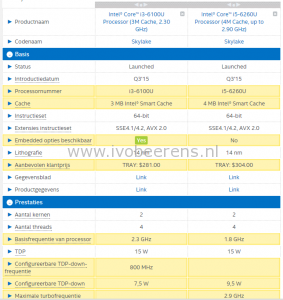 For this configuration the Intel NUC with the I3-6100u processor is sufficient and saves 100 euro. The I3 has 2 cores and hypertreading, so 4 logical processors are displayed in the hypervisor. Other advanced technologies such as VT-x, VT-d, EPT are fully supported. The Intel NUC has 2 memory slots and support up to 32 GB DDR4 2133 MHz SODIMM memory. 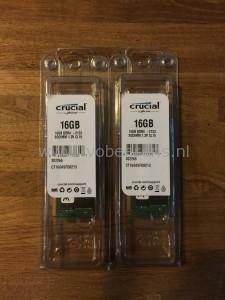 I added 2 Crucial 16 GB DDR4-2133(CT16G4SFD8213) modules which makes a total of 32 GB memory. I use the same memory as suggested by the blog “virten.net” link. 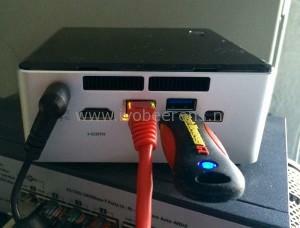 The Intel NUC has an Intel I219-V Gigabit network adapter and a wireless network card. 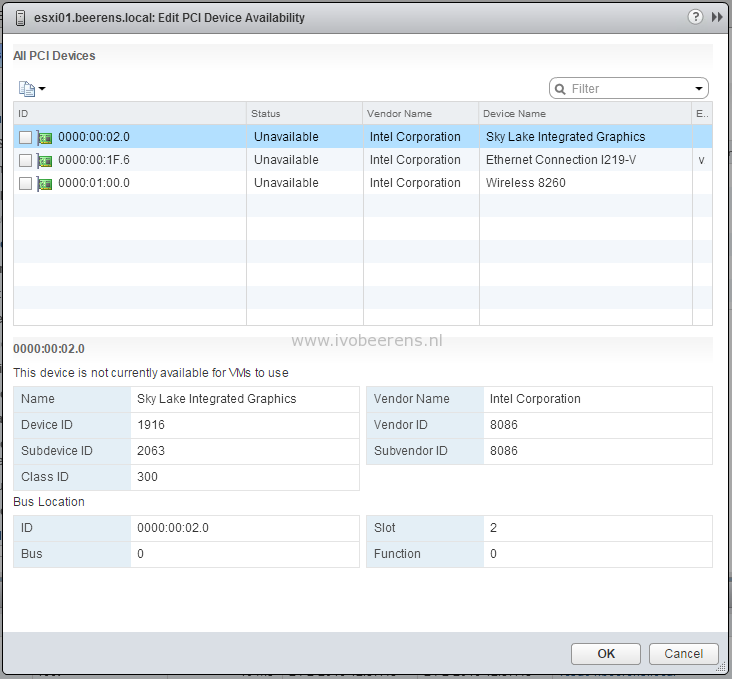 Only the Intel I219-V can be used with VMware ESXi. 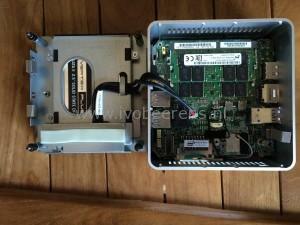 The NUC has a M.2 (PCIe Gen 3 x4) slot and a Intel AHCI SATA-600 controller. It is possible to install a 2.5″ SDD or harddisk in the drive cage. The VMs are on a Synology NAS. 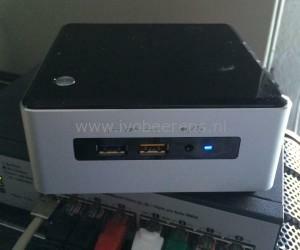 So the NUC will not have any disks other than a USB drive for booting VMware ESXi. An USB 3 stick is used to boot VMWare ESXi. On the USB stick is VMware ESXi 6.0 U1b (VMware-VMvisor-Installer-201601001 3380124.x86_64) installed. 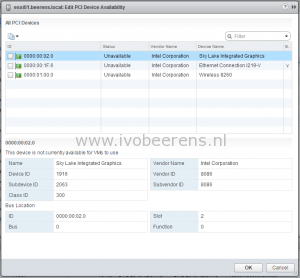 For creating a USB stick with ESXi 6 you can use the blogpost here. Only step 1 till 3 are needed. There is no need to add extra drivers to the ESXI image because the network and storage adapter are recognized by default. Passthrough is supported by the CPU and motherboard. 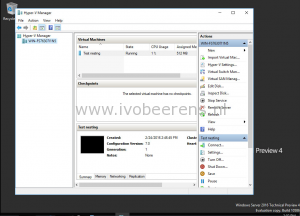 Nesting such as VMware in VMware and Hyper-V in VMware is possible. 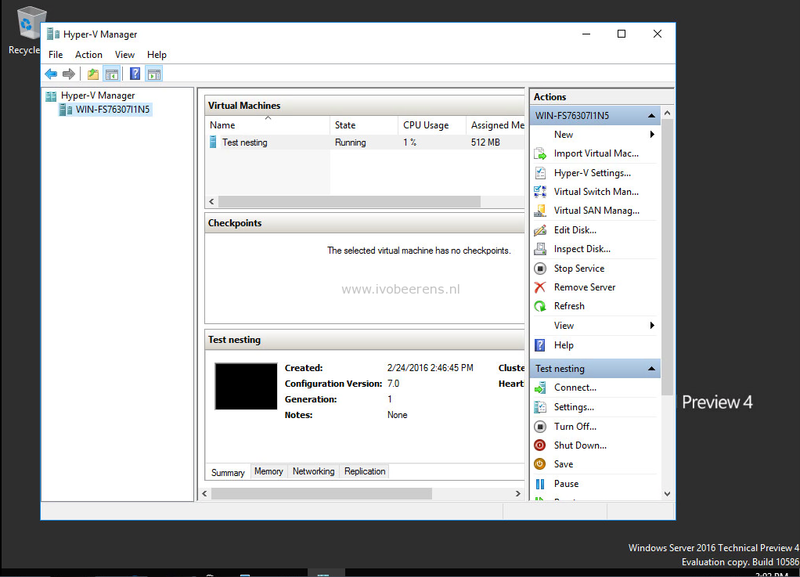 Below is an screenshot of a Hyper-V Server with a VM hosted on ESXi. 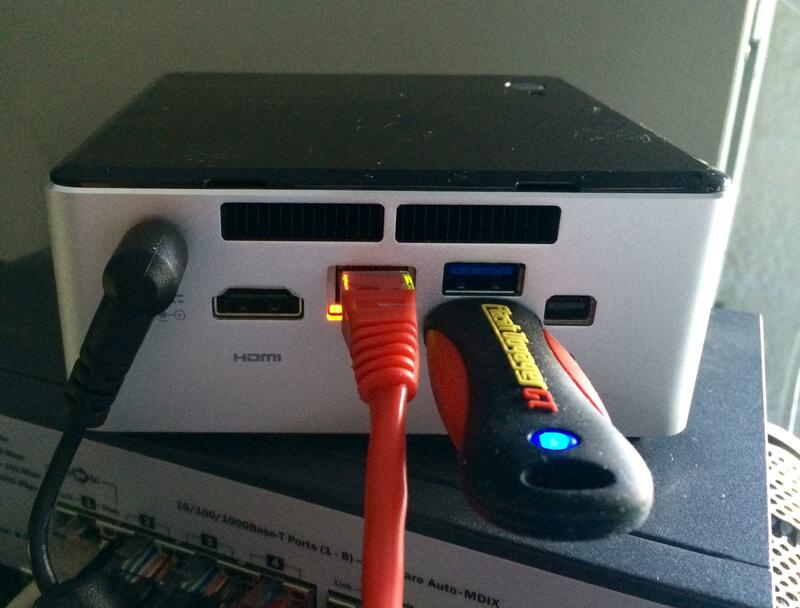 The average power consumption of the NUC is between 20 and 30 watt with a couple of VMs active. The 6th generation Intel NUC is an great and easy option for creating a small ESXi home lab. 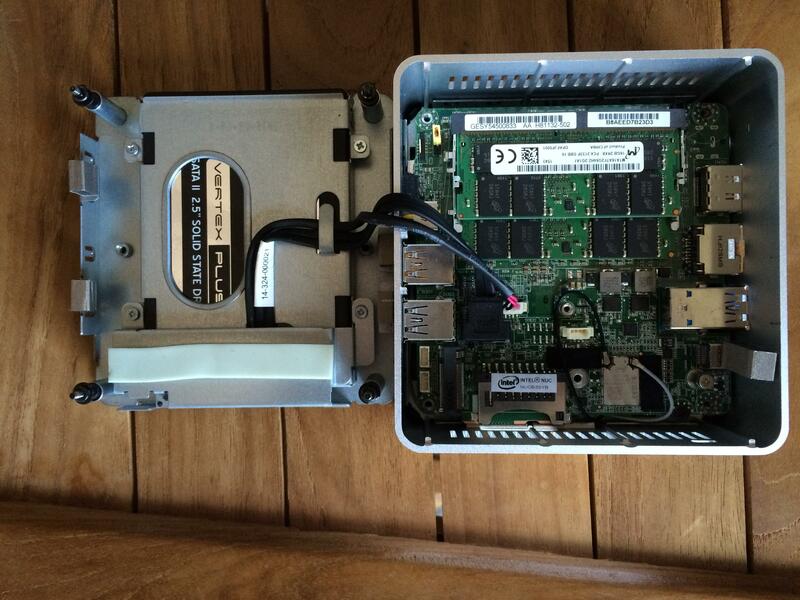 I use the Intel NUC as management server with a couple of VMs. Another use case is creating a 2/3- node hybrid Virtual SAN (VSAN) cluster. Put a Samsung 950 PRO in the M.2 slot for caching and a 2.5″ HDD as capacity tier. Easy. All in-one-package including a motherboard, processor, enclosure and power adapter. Can you add an extra NIC using a USB 3 to gigabit adapter that will work with ESXi 6? Thanks for article. 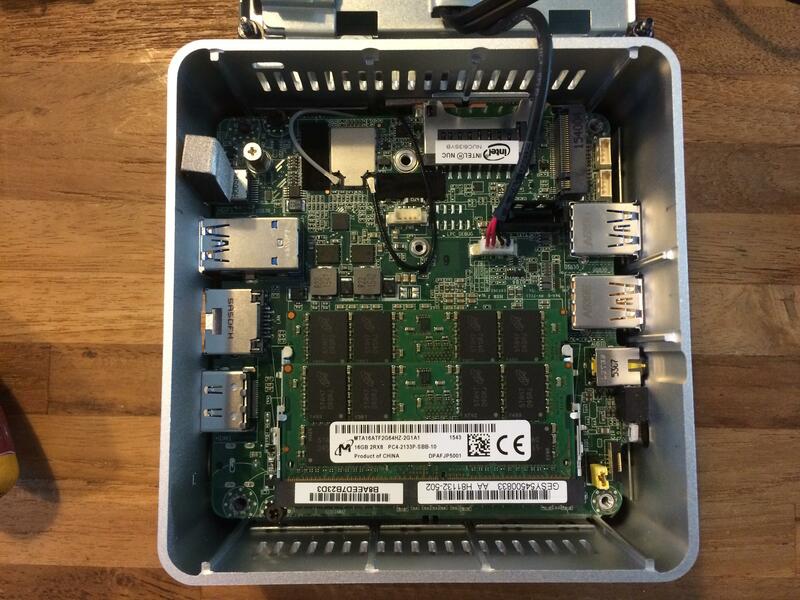 Just a quick question: what do you recommend between this NUC and ASRock C2750D4I or ASRock C2550D4I for a homelab running 8-10 virtual machines for tests/learning purposes? i wonder if you can stick 32gb*2 ram in it though officially only 32gb is supported. 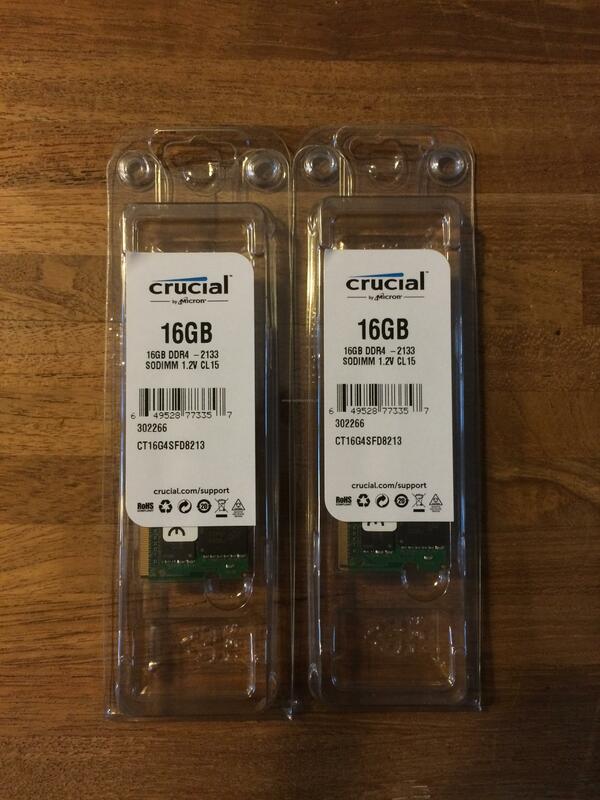 but when they say 16gb max for nuc5i we all know by know you can prop it up to 32gb. I have the NUC6i3SYN setup running vSphere. Spinning up a Windows 2012 server and can’t find a storage driver that works. What are you guys using to get through the 2012 installation wizard? Tech preview of Server 2016 works out of the box. I have tried all the storage drivers I could find with no luck. Any help would be greatly appreciated. How much do you paid for the VMware License? 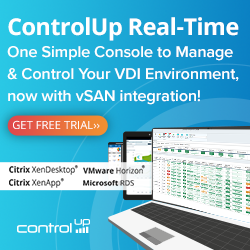 To use VSAN Technologie you need a license for 4000 $ and more. Only the Hypervisor is free to download. Or do you know something i don´t know? It would be pretty cool to get these things for free. If you would like to add a second NIC, I have working drivers for USB 3.0 Ethernet adapters. @j do you say that on Gen 5 I can install 2 mem of 16GB to have 32GB of ram? @Marco yes, it’s not officially supported config, but it works.